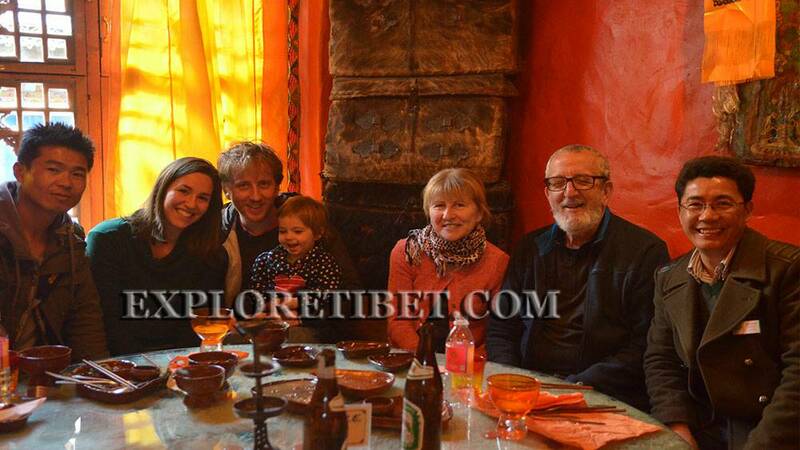 Tibet group tour is the top leading Tibetan tour company with many years of profesional experiences, we have a great Tibetan team of local travel expert and had extensive knowledge of Tibet tours and travel. Over the past decades we had provided great experiences for more than 1000 travelers around world and trained our guides and drivers to keep improve our Tibet group tour quality. Over the past decades, we have received reputable feedbacks from our clients and earnd a lots of experiences to make our trips better, all the staffs at the Tibet Group Tour are very keen to improve ourselves and struggle to be the best. We also provide most latest Tibet Travel permit information to all the travelers and help them to plan their tour in a worry free and also provide train and flight tickets booking assistance too. Namgyal's guiding job was un-improveable! He answered all our questions, explained wonderfully the aspects of boudhism that we didn't know, and made us feel at home all the time. He also was very respectful for our family and travelling with him was a very nice experience. We all think he is a very talented guide! Damdul was also very nice with us. He always drove carefully and we felt secure in the car all the time. A true professional! We Guaranteed the trip even there is only one person signed when the tour booking conclude.“if you booked, you will going”. We keep the group tour small and manageable size, so you will still enjoy the private services “Only 8 or Less”. Definitely no shopping and avoid tourist trap,we also use 100% Tibetan guide and drivers to facilitiate an Authentic Tibetan Experiences.